Join the University of Pennsylvania Women’s Soccer Fall ID Camp. It is a 1-day event on October 15 that will take place at the Penn Park in University of Pennsylvania campus. All sessions in this program are at the collegiate level including the competitive matches. Thus, it will provide the participants a feel for how it is like to play and compete at the college level. The event also focuses on improving every attendee’s technical and tactical understanding. The University of Pennsylvania women’s coaching staff is facilitating this training program. Even so, coaching staffs from other top colleges and universities are also joining the event. In addition, the program includes college recruitment discussions. University of Pennsylvania is a private, coeducational, Ivy League, research university in Philadelphia, Pennsylvania. It is a member of the Association of American Universities as well as the Universities Research Association. It has an academic accreditation from the Middle States Commission on Higher Education. Proving its excellence, University of Pennsylvania is 8th in National Universities, 2018 edition of Best Colleges rankings. It is also 13th in the Best Value Schools rankings. The university is nurturing almost 25,000 students. Around 10,400 of these students are undergraduates. The student to faculty ratio is a fascinating 6:1. The acceptance rate is at 9 percent. University of Pennsylvania fields 31 intercollegiate athletics teams. Its soccer teams are competing in the Ivy League of NCAA Division. The athletes’ nickname is Quakers while red and blue are their official colors. Head Coach Nicole Van Dyke is leading the UPenn’s women’s soccer team since March 2015. Coach Nicole Van Dyke is the former Stanford University assistant coach and later on the associate head coach. She is the 2005 CCAA Coach of the Year. This is despite just being 23 years old at that time. Then, the Quakers women’s soccer team’s assistant coaches are Melissa Phillips, Lizzy Johnson, and John Ward. 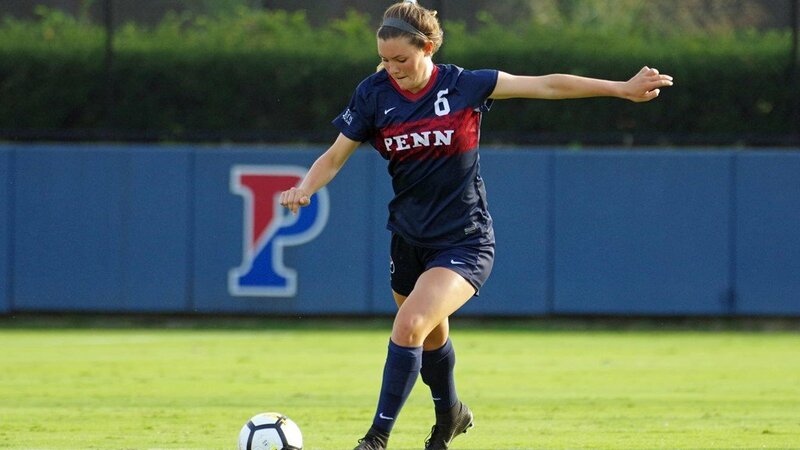 The University of Pennsylvania Women's Soccer Fall ID Camp provides the participants a feel for how it is like to play and compete at the college level.